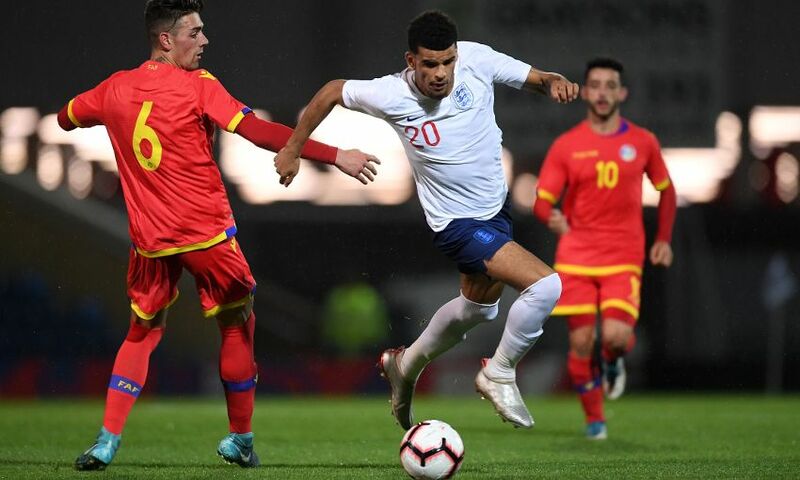 Dominic Solanke was on target as England U21s recorded an emphatic 7-0 victory over Andorra in European Championship qualifying on Thursday night. Shortly after entering the game as a second-half substitute, the Liverpool striker netted in the 81st minute of the contest at Chesterfield’s Proact Stadium. It was a result that confirmed the Young Lions’ place at next year’s finals in Italy and San Marino. Elsewhere, Curtis Jones started to help England U18s to a 4-0 success against their Sweden counterparts at St George’s Park, while Rafael Camacho played 72 minutes of Portugal U20s’ 1-1 draw with Switzerland in World Championship qualifying. On the senior international front, it was a disappointing night for Andy Robertson as Scotland surrendered a half-time lead to go down to a 2-1 Nations League defeat to Israel in Haifa.